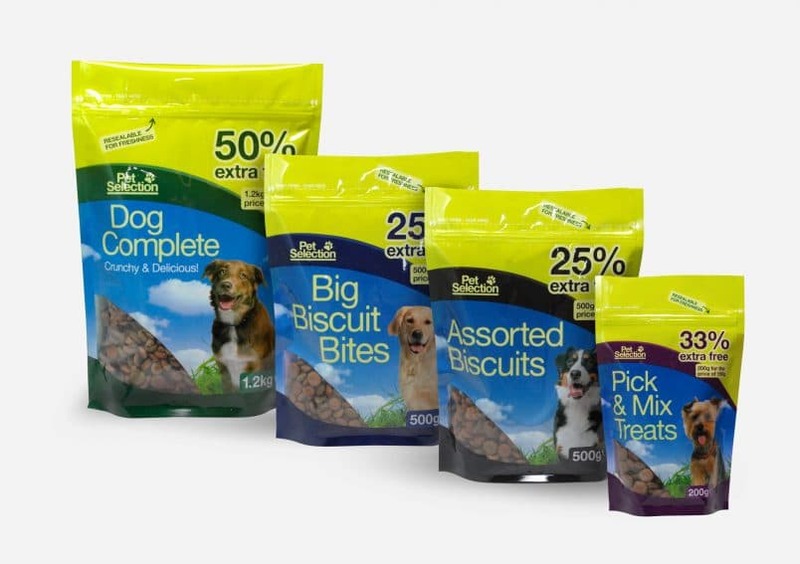 A range of packaging designed for a pet food brand launched in the UK. The new packaging designs feature a vibrant brand identity intended to stand out on the shelf, with bold typography and a strong colour scheme. Find out more about our packaging design service.